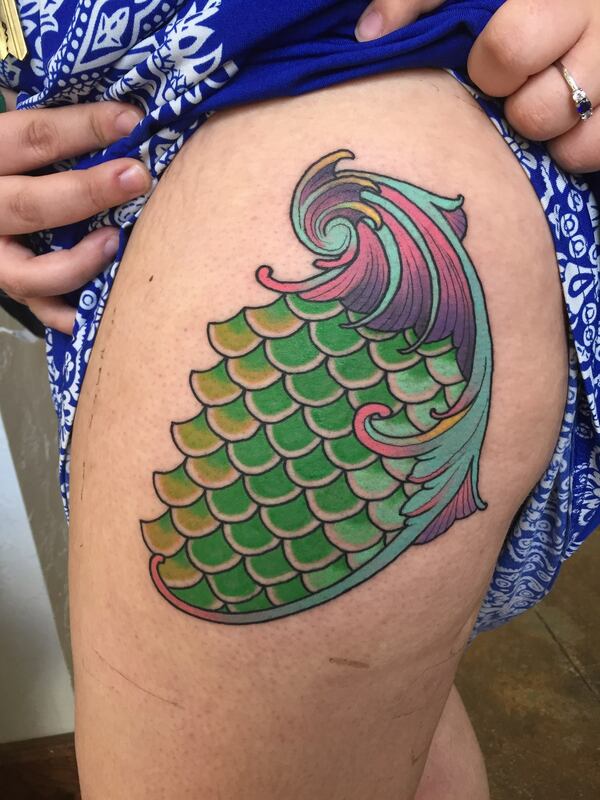 Love this fantasy mermaid tattoo by David “HEK” Rogers! I hope that all of our clients know how much fun they make our lives! Thank you for fresh ideas, trust, and creative freedom!